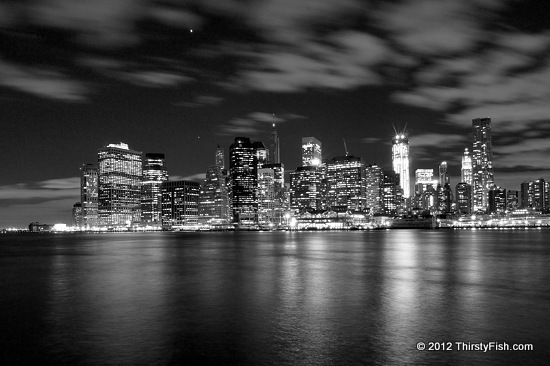 Venus and Jupiter decorated this view of the Lower Manhattan skyline on March 29, 2012. The two planets were in conjunction just weeks earlier, and the moon had joined them the week before. The bright building on the right is the construction of the Freedom Tower. Why are planets, stars, and in general, astronomy so fascinating to us? At least to most of us! When we stop taking nature for granted, it leaves us with a sense of awe; A sense of wonder, respect, and even fear, where we are reminded of our insignificance in the scale of the grand. We build pyramids, cathedrals and skyscrapers in an attempt to duplicate the sense of awe that is ever-present in nature. But our human accomplishments will never be able to replace the awe that nature provides. What we see on TV, the amusing videos we watch on YouTube, the gadgets we are so fascinated by, and the skyscrapers we erect, are merely temporary and insignificant sources of awe. Nature on the other hand will always be the ultimate source of awe.